Dr. William R. Wagner holds a B.S. (Johns Hopkins, 1986) and Ph.D. (University of Texas, 1991) in chemical engineering and has been on the faculty at the University of Pittsburgh since 1991. He is a Professor of Surgery, Bioengineering and Chemical Engineering and serves as Director of the McGowan Institute for Regenerative Medicine. Dr. Wagner is the Founding Editor and Editor-in-Chief of Acta Biomaterialia, which has quickly grown to be one of the leading journals in the biomaterials field. His research group works in the area of cardiovascular engineering with projects that address medical device biocompatibility and design, biomaterials and tissue engineering, and targeted imaging. Research activities range from modeling and in vitro studies to clinical research. Dr. Wagner is a past President of the American Society for Artificial Internal Organs (ASAIO; 2010) and serves on the Executive Board of the International Federation of Artificial Organs (IFAO; 2009). He is a fellow and former vice president of the American Institute for Medical and Biological Engineering (AIMBE; 2000) and has also been elected a fellow of the Biomedical Engineering Society (BMES; 2007), American Heart Association (2001), and the International Union of Societies for Biomaterials Science and Engineering (IUSBSE; 2008). In 2009 he was selected as the Society for Biomaterials representative to the IUSBSE. He has served as Chairman for the Gordon Research Conference on Biomaterials: Biocompatibility & Tissue Engineering as well as for the First World Congress of the Tissue Engineering and Regenerative Medicine International Society (TERMIS). Recently, he was selected as Chairman for the 2013 BMES Annual Meeting and as the TERMIS Chair-Elect of the Americas Region. 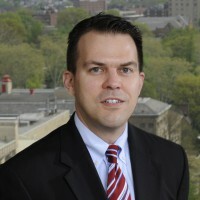 His recent recognitions have included the 2011 Society for Biomaterials Clemson Award for Applied Research and the 2012 Chancellor’s Distinguished Research Award from the University of Pittsburgh. Dr. Wagner’s research has generated numerous patents and patent filings that have resulted in licensing activity, the formation of a company, and University of Pittsburgh Innovator Awards in 2007, 2008, 2009, and 2010.